The double sided Door Gapper Dual Tool makes Auto Entry easy! 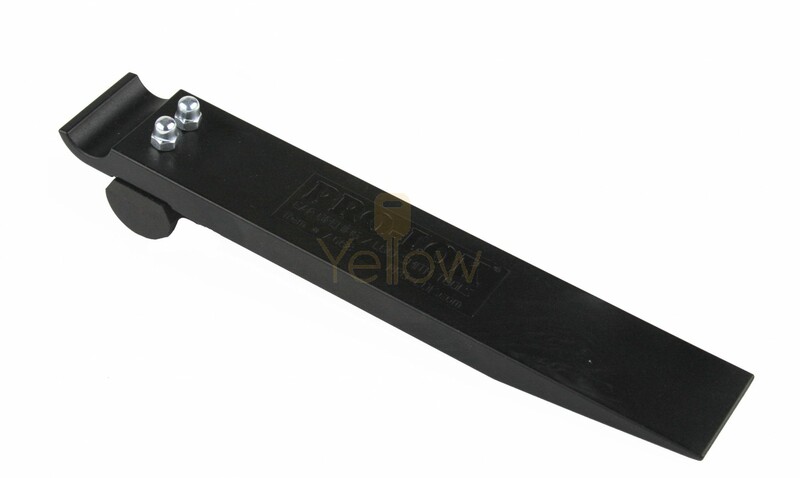 This tools features a Traditional Wedge on one end and a Door Gap Tool on the other. Use the rubber pivot to provide leverage in creating space to insert the AO65 Pump Wedge or AO65-VXL Extra Large Pump Wedge. This tool helps create space between the door and the frame to allow for quick insertion of the Pump Wedge to perform Long Reach Car Openings.